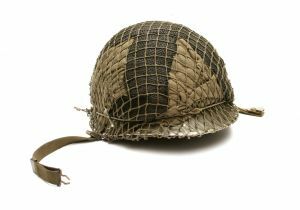 Happy Armistice Day! May we take time today to learn about the original meaning of this day. May God use what we learn to turn our hearts away from the glorification of war and toward the celebration of peace, away from the allure of nationalism and toward himself and his kingdom — just like he has done for many of our brothers who have gone before us. 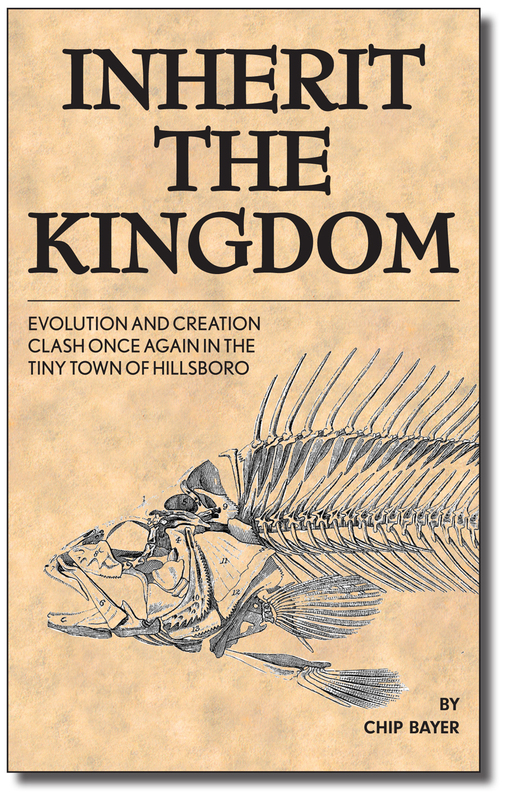 From the back cover: Evolution and Creationism clash once again in the tiny town of Hillsboro, where the proponents of evolution intend to make an example of a young science teacher who refuses to ignore evidence pointing to the possibility of a creator. Strong legal power is brought to bear in an effort to set a legal precedent that would influence American courts for years to come in what the media calls the “Monkey Trial II.” The only thing in the way is a local attorney with a questionable past and the strength to stand on conviction. From the Introduction: “Inherit the Kingdom” has its genesis in 1925. In the summer of that year Dayton, Tennessee became the battleground for a war that has raged between Darwinian Evolution and biblical Christianity ever since Charles Darwin’s controversial theory was first published in his book, “The Origin of the Species,” in 1859. The 1925 conflict began when the ACLU, opposed to a state law in Tennessee prohibiting the teaching of evolution in the public schools, advertised for a schoolteacher willing to deliberately violate the law as a means of driving the matter into court. John Scopes, a physical education teacher, answered the call. His trial quickly became a national story. What came to be known as the “Scopes Monkey Trial” attracted famous newspaper writers from all across the country. Noted attorney, Clarence Darrow, was summoned to defend Scopes while the equally noteworthy William Jennings Bryan, a former United States Secretary of State and presidential candidate, prosecuted. The trial is still considered by many to be “the trial of the 20th century,” and the primary showdown between evolution and creationism. In 1955 playwrights Jerome Lawrence and Robert E. Lee published a dramatization of the trial in a play entitled “Inherit the Wind.” While a note at the beginning of the play clearly states “‘Inherit the Wind’ is not history,” Americans, who are probably more familiar with the play than they are with the actual trial, consider it to be an accurate account of what happened in Dayton in 1925. “Inherit the Wind” is perceived as a milestone in the battle between evolution and creationism. Its gross caricatures of Christians as backward and uneducated are still referenced by evolutionists as representative of actual Christians and their beliefs. The play continues to be used to strengthen the erroneous perception that the battle between evolution and creationism is a battle between enlightenment and ignorance, education and blind faith. More than fifty years after the publication of “Inherit the Wind” the battle between evolution and creationism still rages in the schoolrooms of America, except the tide has turned. Now, while evolution is taught as scientific fact in public schools everywhere, it is the mention of God or the mere suggestion of the possibility of a creator that is prohibited. Like “Inherit the Wind,” “Inherit the Kingdom” does not pretend to be journalism. While there are historical and scientific facts presented here (sources referenced either in the text or via end notes) “Inherit the Kingdom” is fiction. It revisits Lawrence and Lee’s fictitious small town and provides a fresh look at a long-running controversy. And, like “Inherit the Wind,” “Inherit the Kingdom” adopts the following setting: summer in a small town, not too long ago. You may download you free pdf of this book here. 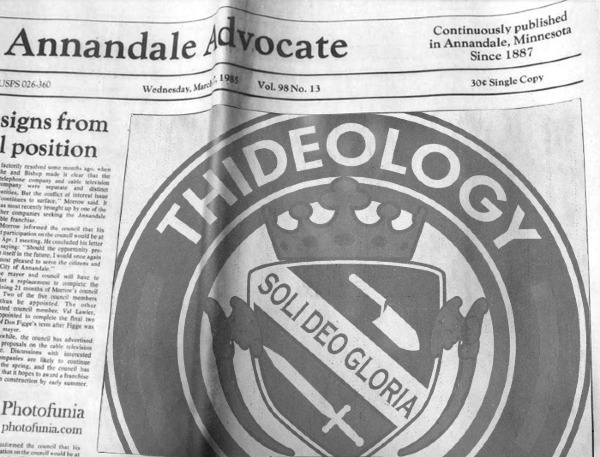 Christianity Today reports that the Department of Education is about to finalize a new set of federal regulations that pose a serious threat to the freedom of private Christian universities to control their curriculum, admissions and hiring standards. Who ever thought that the federal government might try to control the organizations to whom it doles out dollars? 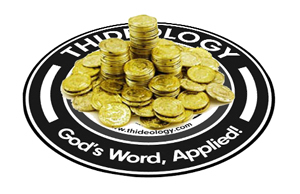 It’s time Americans (and Christians in particular) started recognizing taxation for what it is — it is theft on a grand scale. Its goal is not to raise revenue — it is to control. What is a “tax incentive” if not a means of manipulating the behavior of tax payers? Act the way they want you to act and they’ll refrain from stealing as much of your money as they otherwise would. Nice. Consider the example of universities. The teachers, administrators, students, and employees all pay taxes. The government then promises to return a portion of their money — but only if they all agree to behave in a certain manner. I hope more and more private universities refuse to accept federal money — and their mandates. Before you go and label me a cynic allow me to point something out. I am a lover of individual liberty and free markets. I would prefer an extremely limited federal government that was fearful of the people rather than the federal government we now have that wields unlimited power and makes people fearful. I despise what this president and congress have done and I voted against as many of them as I could. I am growing tired of the “most important election in our lifetime” mantra. The last election was the “most important election of our lifetime.” The next election will be the “most important election of our lifetime.” And, while I am not surprised that people who have no hope beyond this world fall prey to such rhetoric, I continue to be disappointed that so many Christians do. Christians have been encouraging one another to pray. Pray for our leaders. Pray for the elections. Pray for our country. But how do we pray? I’m afraid many of us have been asking God to accomplish our will. We know what we want from the “most important election in our lifetime” and so we ask God to bring about that outcome. It reveals that we have grossly misplaced our faith. We think this is the “most important election in our lifetime” because we have placed our faith firmly in the government. We are looking to the state for answers when we should be looking to Scripture. We are trusting in the election of “godly” men and women when we should be trusting in God alone. We have decided for ourselves how things ought to be and our prayers are for God to approve that which we’ve already determined is right. Clearly this scares us. We don’t honestly pray for God’s will to be done because, deep, down inside, we are afraid that God’s will and our will are not the same. What if God’s will isn’t the same as ours? What if God allows the destruction of America the way He allowed Babylon to destroy Judah? But this is precisely why we should pray in the manner Jesus commanded — that God will conform our will to His will. That we will come to want what He wants. That we will desire His glory and His kingdom so much that we become unconcerned about the fate of a temporary, earthly kingdom — even the one in which we live. If we do that perhaps we will stop swearing loyalty to a man-made object, mistaking nationalism for patriotism, allowing ourselves to be manipulated by the state and embracing an earthly empire over God’s kingdom. Ultimately this election means nothing. It will neither hasten nor delay God’s plans. He will accomplish all his will exactly how and when He intends. Don’t be distracted. God holds this election in His hand — just like every other election.